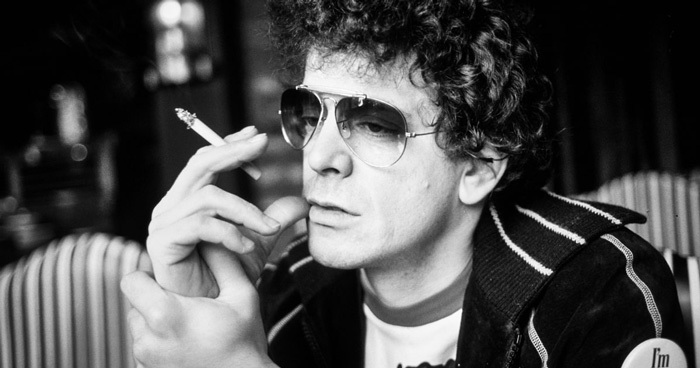 Lou Reed was an American singer-songwriter, musician and producer who was most prominent in the 1970s and best known for his unique deadpan voice, poetic lyrics and musical genre hopping. His work with The Velvet Underground was immensely innovative and, as far as influence is concerned, Reed was certainly one of the most influential and groundbreaking musicians in rock history. Born “Lewis Allan Reed” in Brooklyn, New York City to an affluent Jewish family in 1942, his father owned a tax accounting firm. An avid fan of rock music from his early teens, Reed attended Freeport Junior High School, which was notorious for its gangs and violence. He learned to play the guitar from the radio and played in several bands during his school years – most notably the Jades – a doo-wop band for which he made his first recording. Reed experimented with drugs and went to rehab as a youth. In his later teens, he hosted his own radio show on WAER and studied journalism, film directing, and creative writing at Syracuse University. Lou Reed moved to New York City in 1964 and started his early career working with Pickwick Records as an in-house songwriter. The next year, he assembled the Velvet Underground with violist John Cale, guitarist Sterling Morrison, and drummer Maureen Tucker. The band rose to prominence in 1966, under the dynamic supervision of famed artist Andy Warhol, after the release of their debut album, The Velvet Underground and Nico. Also featuring the German singer Nico, the album is now considered one of the greatest and most influential rock albums ever recorded. Cale decided to leave the group when their second album, White Light/White Heat, came out in 1968. Reed’s songwriting skills changed significantly over the next few releases. He left the band in 1970 to pursue a solo career. Reed’s collaborations with David Bowie and and Mick Ronson produced his most commercially successful album, Transformer (1972). The album peaked at number 13 on the UK Albums Chart and spawned his only chart-topping solo hit single, “Walk on the Wild Side”. In 1973, Reed recorded Berlin, a critically-acclaimed rock opera about junkies and domestic abuse in the German capital. His 1975 double album, Metal Machine Music, consisted of electronically generated audio feedback and noise. Reed died aged 71 from liver disease at his residence in Southampton, New York. Lou Reed earned several awards and accolades during his career and even after his death. In 1999, he won a Grammy Award for best long-form music video. Reed was honored with the special international award at the 2005 Ivor Novello Awards ceremony. In 2015, he posthumously received a Grammy Hall Of Fame Award. Reed was inducted into the Rock and Roll Hall of Fame as a member of the Velvet Underground in 1996. Lou Reed was known to be a bisexual who carried on affairs with several men. He married British designer Sylvia Morales in 1980. The marriage produced no children and ended in a divorce in 1994.